Every year, we’re treated to several of Apple’s products – in 2015, we got our hands on a new MacBook, the OS X El Capitan, iOS 9, the iPad Pro, and perhaps the biggest release of the year, the iPhone 6s. Since we’re closing the chapter of our lives called 2015, it’s probably the right time to look into the future and speculate what Apple’s next big product be next year. Currently, there are several speculations as to which Apple products may hit the market next year. There is no official word from Cupertino – and there won’t be weeks or a month before release – but we can definitely take note of the signs and start guessing. Apple has always been secretive with its projects that are under development, but like most users, we’re not able to contain our excitement. Will Apple’s next big product be the iPad Air 3? Well, it’s safe to think that way considering that all signs point to it being released in 2016. Apple fans expected to see it unveiled last September – instead, what people got were the iPad Mini 4 and the new iPad Pro. However, it’s possible that we’ll see the new iteration next year, considering that there have been substantial discounts made during Black Friday and Cyber Monday for the iPad Air 2. Apple’s actively trying to get rid of its iPad Air 2 stocks, keeping their shelves fresh and empty for the new iPad. According to a report in Tech News Today, the iPad Air 3 will sport a powerful, 9.7-inch display with a high definition resolution of 2334 x 3112 (401 ppi). It’s safe to say the device will possess an amazing display screen, rivaling the iPad Pro and the other tablet computers in its generation. The same source also mentioned it will be water and dust resistant and is expected to come with the 3D Touch feature, like the one on the newly-released iPhone 6s. It is also reported to be its thinnest iteration yet. The device will also be powered by Apple’s latest A9X processor, making it faster, more powerful, and power efficient compared to its predecessor. Reports also suggest it will have at least four gigabytes of RAM, have a rose gold version, an eight megapixel camera (and a two MP front one), a Touch ID fingerprint sensor, and storage configurations ranging form 16 GB to 128 GB. It is said to be released early next year, specifically on March 2016. It is rumored to be priced at a relatively low $610. Rumor mills suggest Apple may not only be releasing the yet-to-be-confirmed iPhone 7 in 2016, but it also a rumored, four-inch iPhone analysts dub as the iPhone 6c. It is worth noting even if the iPhone 6s drove 13-million units sold in its first weekend, it is still lagging behind the figures posted by the iPhone 6 and iPhone 6 Plus a year ago. Information about the new iPhone 6c is scarce, but we do know that it’s rumored to have a smaller, 4-inch screen and is simply an upgraded version of the iPhone 5s and it won’t have the highly touted 3D Touch feature. This may seem like a step backward for Apple (because it kinda is), a tentative March 2016 date has been set…and it’s goal may be to mitigate the sales slowdown in the first two quarters of the year before the iPhone 7 will be released. Regardless, it will come with support for Apple Pay, according to trusted rumor source Chi-Ming Kuo. So far, Apple has refused to release Apple Watch figures, leading to speculations it hasn’t been selling well. This isn’t much of a surprise though, considering that it’s too expensive for it to appeal to a general consumer. Apple CEO Tim Cook has repeatedly defended the Watch, like a 700-foot wall in a popular TV show. Anyway, rumor mills suggest the new iteration of the Apple Watch, aptly dubbed Apple Watch 2, is set to be released this year and will be unveiled in a major event in March. The new, wearable tech is set to have more features and capabilities compared to its predecessor, which happened to be a bit of a letdown. Earlier reports suggest it might have a camera, has wireless capabilities, sleep tracking, and health sensor capabilities. It is unclear which features will show up – we will have to wait for it to be unveiled in the March event. Either way, if it’s a complete upgrade of its predecessor and has addressed all of the issues concerning the first Watch, then it might probably be Apple’s net big product. Earlier this year, Apple announced and released the 12-inch MacBook, which gave rise to speculations that this signaled the end of the MacBook Air line. Regardless, the rumors may prove unfounded considering they may release two new MacBooks this year, namely the new MacBook Air 3 which is reportedly set to be introduced to the public in March. Note that older MacBooks are now available in lower prices, so it’s no surprise this will hold true. Also entering the mix is a new MacBook Pro with a 15-inch display, set to be unveiled on a separate on June. However, it may not be available after a few months later – Apple’s mainly doing this to prevent two of its products from running into a collision course with each other. It wouldn’t make sense for it to release the MacBook Pro two months after the MacBook Air – it would pit two products against each other, hampering sales and reducing consumer interest. We’ve talked about the iPhone 7 before and we’ve had numerous reports about it, even before the iPhone 6s was released.Anyway, we can safely say that Cupertino has huge plans for it – the device is reportedly set to become its thinnest yet, boasting a pretty thin six millimeter thickness. The iPhone 7 will have three gigabytes of RAM and will be armed with Apple’s newest A10 chip. This will result to an extremely fast device, giving you a performance you would not be able to complain about. It is likely to have a Plus version as well, much like both the iPhone 6 and 6s. According to another report, this time by TrendForce, the iPhone 7 is reportedly the first iPhone to be waterproof. While I’m not getting my hopes up, this is good news, considering that dropping iPhones on toilets or spilling glasses of water over it is a common occurrence. It’ll likely get rid of the 3.5mm headphone jack. Yes, you may no longer have a place to plug in your earphones in the next iteration of the iPhone, unless if your phone is using a Lightning connector. Apple is taking a risk here: it is sacrificing convenience and what people are used to just to deliver a thinner iPhone. Either that or maybe the people at Cupertino are aiming to release their own Lightning port earphones or wireless ones. 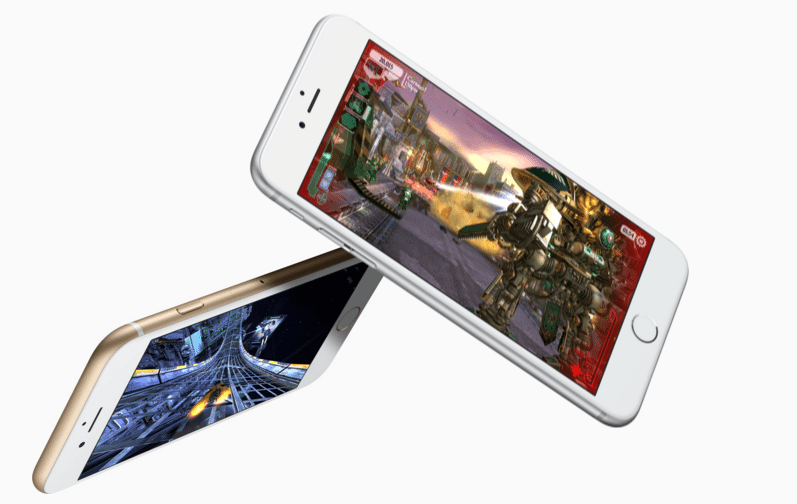 Note that the iPhone 6s is considerably thicker than its predecessors, albeit marginally. Anyway, the iPhone 7 is likely to wrap up Apple’s 2016 lineup, unless if the company suddenly decides to release a few more products in the latter part of the year. But so far, they have been mum with it. Will Apple have a banner year in 2016? Most likely, yes – next year’s Apple lineup could be a tad better than this year’s. There are so many things to look forward to, particularly the new iPhone and the successor of the Apple Watch which has been long overdue. These may not be the only Apple products released this year – we may have a new iOS and have quite a few OS X El Capitan updates. In terms of innovation and the quality of the releases, Apple may have an edge over other manufacturers. But it remains to be seen if it could sustain its gains from last year! Note that 2015 has been a loaded year for Apple, and so far, everything has been good – both in feedback and in profits. One thing is for sure though: Apple’s products will definitely make headlines next year, and we can only look forward to what they have in store for us in spring.